Hi everyone just a quick few lines to let everyone know what kind of maintenance we have planned for the next few weeks and a little insight as to why. 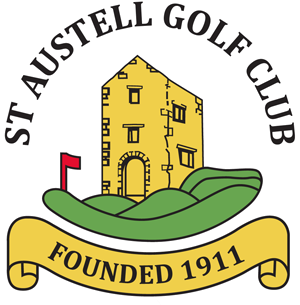 We will be applying a fungicide too the greens which will help prevent the outbreak of any unsightly disease that often occur at this time of year now the ground conditions are both damp and warm, this operation will take place the week commencing Monday the 19 September on the first dry day. We will also be applying a weed killer to the tees at some point which is also weather dependent. On the 2/3 greens we have a plant called Toadrush which is plain to see by its dark green colour, this plant is very difficult to remove by hand, and if one little root is left it will regrow so we will be spraying these greens at the end of September with a product which will kill it, but as Toadrush is so hard to kill the spray will also have an effect on the remaining grass ( it won’t kill it but will shock it ) and cause the colour to yellow slightly. To combat this we will be top dressing and overseading straight after the Verti Drain has been over them to get them back on track. On the 10/11/12 October we have a Verti Drain to spike the greens first and then the tees. The purpose of verti draining and spiking is to allow oxygen into the root system and to provide a conduit for surface water to the drains, and helps with the compaction caused by machines / golfers. 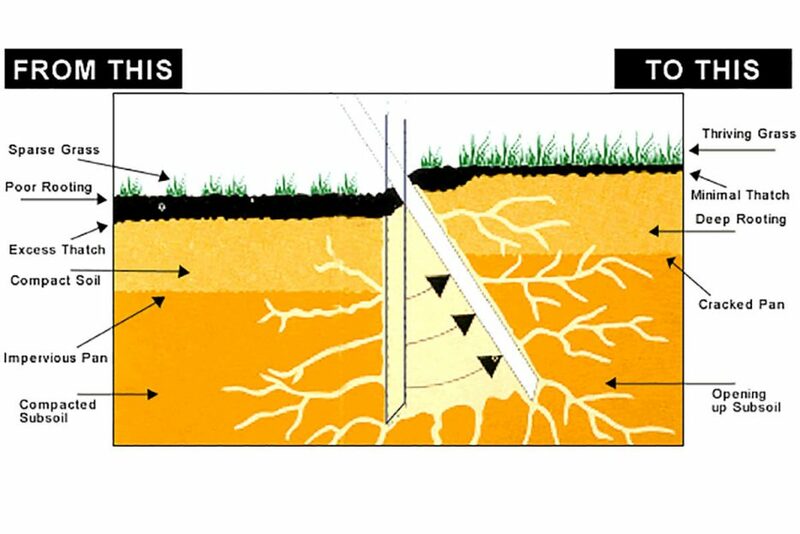 Below is a picture showing what happens when we verti drain.